Ten Detroit neighborhoods will be getting tens of millions of dollars in investment from seven different companies in what is the largest corporate donation to neighborhood development in the city's history. 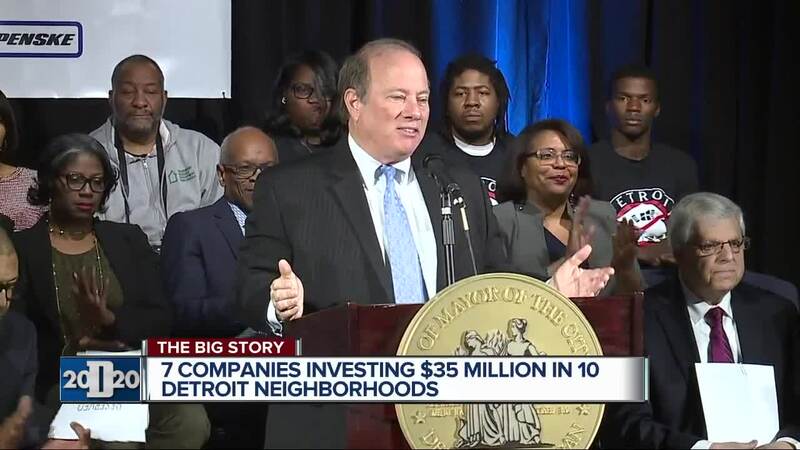 On Monday, Detroit Mayor Mike Duggan announced that the companies will each invest $5 million to the Strategic Neighborhood Fund which will help physical improvements to the areas in that fund and affordable housing across the city. 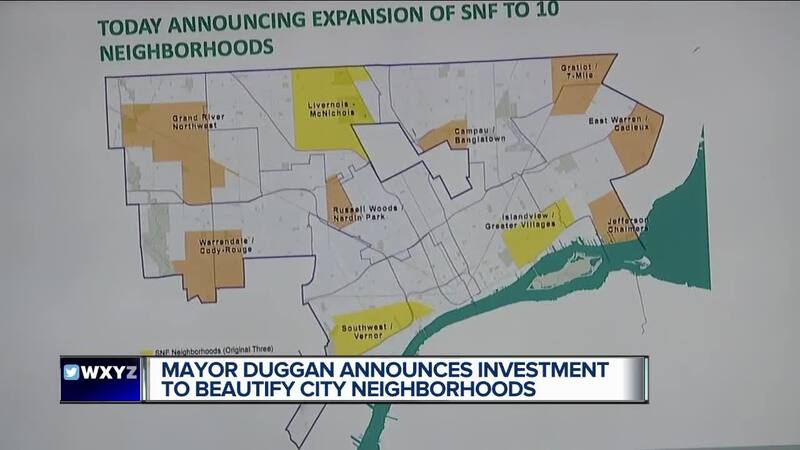 According to Duggan, the donation is also expected to leverage another $70 million in private investment, bringing the total to more than $100 million. The improvements are expected to come in five ways. First, they will create new parks and improve existing parks by adding different amenities. 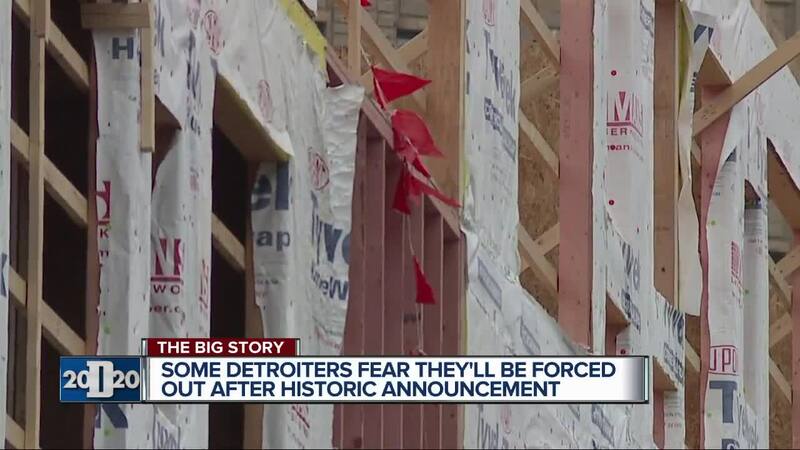 Next, they will add commercial development to fill vacant storefronts and lots with mixed-use, multi-family projects. The money will also help repave streets and sidewalks, and redesigning them to make them walkable. Single-family home stabilization will work to renovate and preserve existing vacant homes and build affordable housing in the neighborhood, and finally, grow affordable housing to fight displacement. Construction and improvements are already underway in three different neighborhoods: Livernois/McNichols, Southwest/West Vernor and the Islandview/Greater Villages. Those improvements include a 2.5-acre park, the Coe development which will add 12 new units, and new and improved lighting and other improvements to Clark Park in southwest Detroit. Over the next five years, the donations will help seven other neighborhoods in the city of Detroit. Those are: Grand River Northwest, Jefferson Chalmers, Russell Woods/Nardin Park, Campau/Banglatown, Warrendale/Cody-Rouge, Gratiot/7 Mile and East Warren/Cadieux.